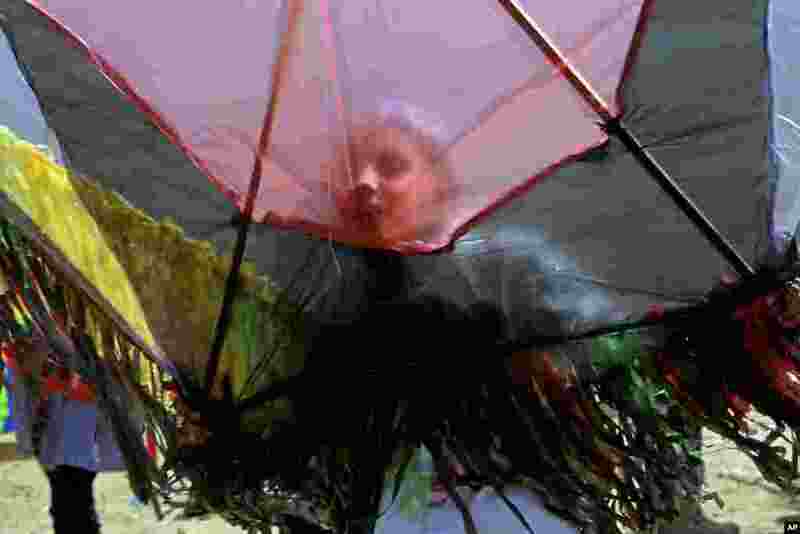 1 A Palestinian student prepares to fly a kite during a commemoration to mark the fourth anniversary of Japan's Tsunami organized by the United Nations Relief and Works Agency, in Khan Younis, southern Gaza Strip. 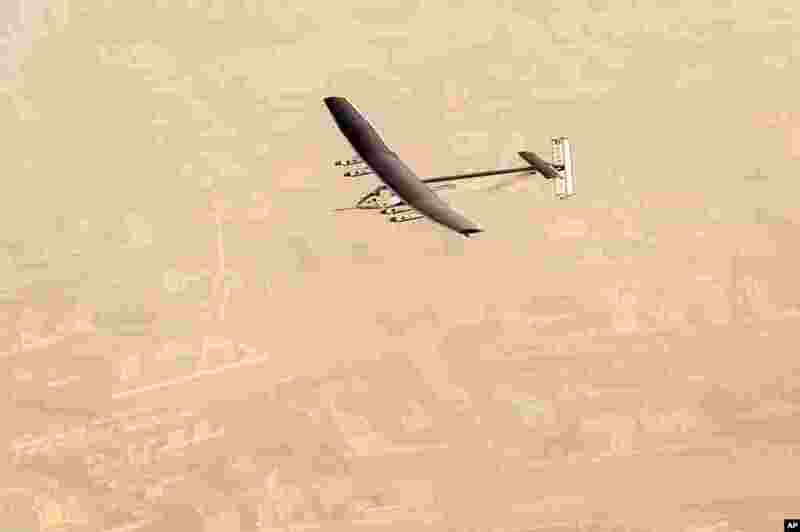 2 In this photo released by Solar Impulse, "Solar Impulse 2", a solar-powered airplane flies after taking off from Al Bateen Executive Airport in Abu Dhabi, United Arab Emirates, marking the start of the first attempt to fly around the world without a drop of fuel. 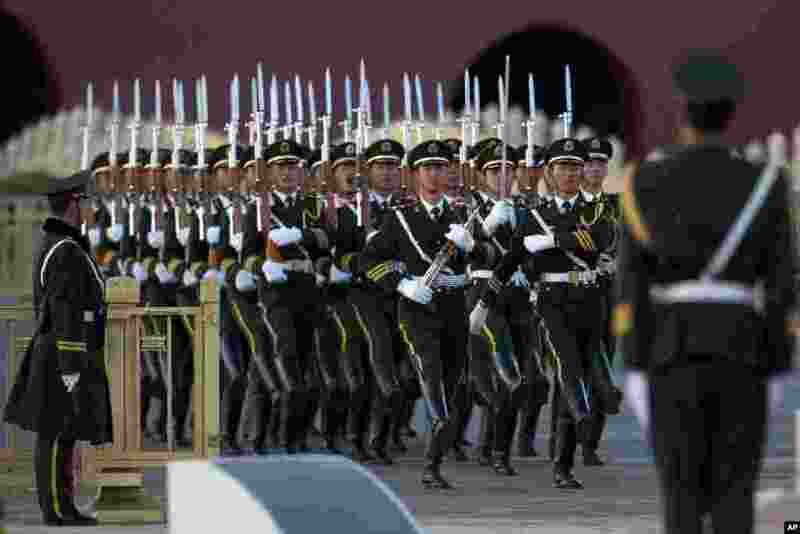 3 Chinese paramilitary policemen march to perform a flag lowering ceremony in Tiananmen Square in Beijing. 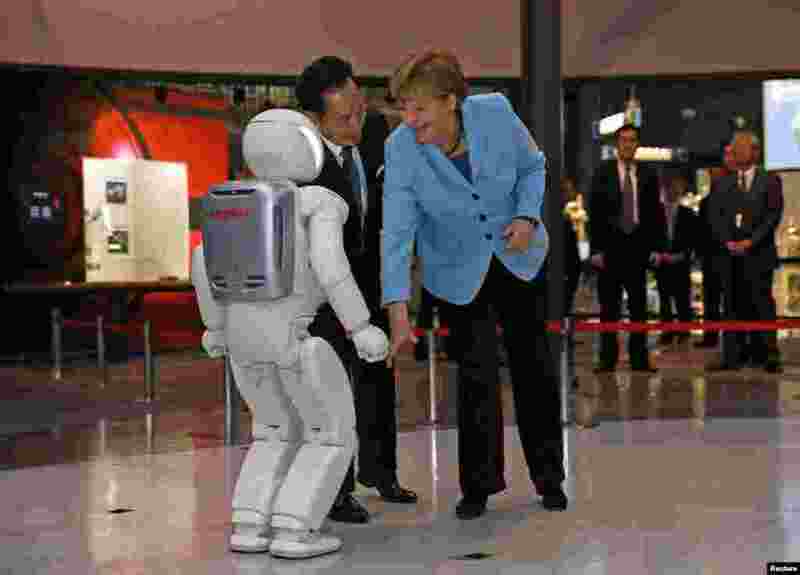 4 German Chancellor Angela Merkel (R), escorted by Mamoru Mori, executive director of the museum and former astronaut, looks at "Asimo", a bi-ped humanoid robot developed by Honda Motor Co., while visiting Miraikan (National Museum of Emerging Science and Innovation) in Tokyo, Japan.